Honda Atlas cars Pakistan is going to achieve another milestone in its historic journey to this point. The merger of Atlas group with Honda Company Japan has produced lots of remarkable results. Honda Atlas cars are now stepping in another arena. Making an SUV with luxurious features in Pakistan requires a big heart and Honda Atlas seems to have one. Honda Atlas cars Pakistan has just revealed that they are going to start producing Honda CR-V in Pakistan. Pakistani automobile market is extremely dynamic but unfortunately buyers always have limited choices. By the launch of Honda CR-V customers would be provided with some sort of assortment in the category. Pakistani market has huge potential for SUVs (Sport utility vehicle) as people in Pakistan especially in rural areas like bigger vehicles, with big tyres, which can support un-even and poor roads in those regions. 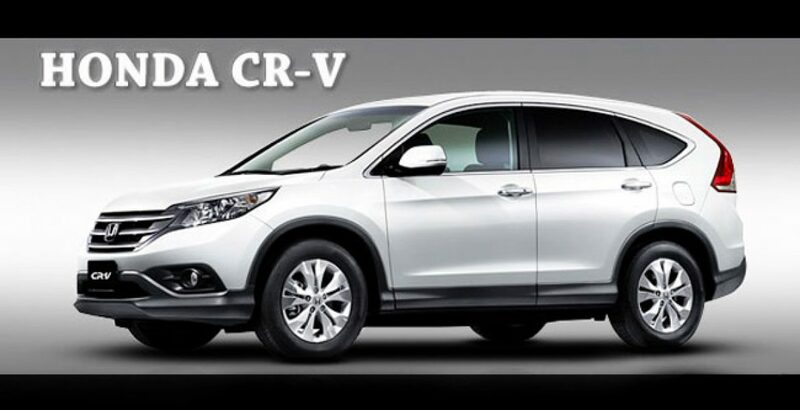 Honda CR-V is a mini SUV which would surely fulfill the purpose. Honda CR-V is a brilliant vehicle which has performed superbly in European and American markets before the decision of its launch in Pakistan. It can perform in both rural and urban areas due to its four wheel drivetrain. The car has all luxurious features of an SUV like spacious inner cabin, comfortable seats, awesome interior with latest features and multi-info LCD display. Other stunning features like ABS (Anti-locking braking system), VSA (Vehicle stability control), central door locks and HID (High Intensity Discharge) lights. Honda CR-V will be having a powerful i-VTEC DOHC 4-stroke, in-line 4 cylinder engine to make it a perfect blend of luxury, performance and durability. Honda CR-V has a very good aerodynamic design which reduces air friction, gives it a stylish look and saves a lot of fuel as well as a result. Those bigger families who were waiting for a mini SUV to be launched in Pakistan can now rely on Honda CR-V.